The BMW M3 is a high-performance version of the BMW 3-Series, developed by BMW's in-house motorsport division, BMW M. M3 models have been derived from the E30, E36, E46 and E90/E92/E93 3-series, and sold with coupé, saloon and convertible body styles. Upgrades over the "standard" 3-Series automobiles include more powerful and responsive engines, improved handling/suspension/braking systems, aerodynamic body enhancements, and interior/exterior accents with the tri-colour "M" (Motorsport) emblem. 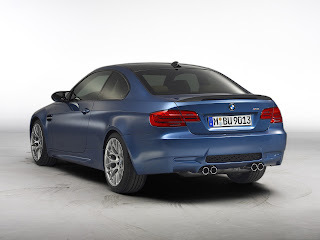 Over the years the M3 and M5have become the benchmark vehicle against which most sport saloons in its class are compared despite competition from Mercedes-AMGand Audi Quattro GmbH (Audi RS).The last M3 coupe rolled off the assembly line in Germany on 5 July 2013. The M3 name will remain with the sedan, but the coupe model will be replaced by the M4 beginning with the 2014 model year. BMW will produce the F30 M3 for the 2014 model year, introducing it as only a saloon, as the coupe/convertible is expected to be spun off into a separate nameplate as the BMW M4, following the company's plans to split off the BMW 4 Series coupe/convertible from the BMW 3 Series. While the saloon F30 was expected to be introduced at the 2013 Geneva Motor Show, as of July 2013 it has yet to be officially revealed. This fifth generation M3 platform structure will be made of steel, with the bonnet and doors from aluminum. 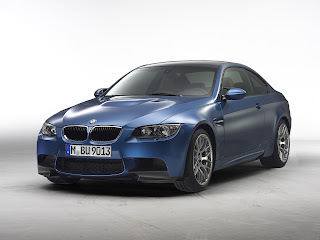 According to the other news, M3 production is closed and there will be no other M3 Coupe. The next M3 Coupe is called M4. M3 Convertible is still going production until September 2013.